Window Tint Plano TX company Synergy Tint & Graphics is one of the best window tinting companies in the Dallas / Fort Worth Metroplex. If you are considering window tint for your car windows, look no further. There are a number of reasons for adding window tint in Plano TX. Window tinting keeps your car much cooler during hot Texas summers. Car window tint also protects you from harmful ultraviolet rays. Security is also a plus. Tinted car windows can stop people from seeing what you have inside the car. Tinting your car windows is fairly inexpensive. There many different types of tinting available. At Synergy Tint & Graphics, we use only the most reliable products. Llumar is one of our key suppliers who offer some of the best window tint film on the market. One of the most popular types of window tinting is non-fading, dyed tint. This type of window tint consists of a single layer of a specially treated polyester film. This film absorbs heat and protects against UV rays. This tint film is the darkest in appearance. It does not use any metal materials. Non-fading, dyed window tint has the lowest heat absorption level. What does that mean? It won’t help keep a car interior as cool as other types, such as ceramic. This type of car window tint is typically used to make car windows look very dark. This window tint material can help prevent interior fading and glare. Ceramic window tinting can absorb two times the amount of heat compared to other window tint film. That means it can keep the interior much cooler in hot Texas summers. The tint is fairly light, so it doesn’t reduce visibility in any way. It’s a good choice for those who live in hot areas, but it does take quite some time to dry because it’s a heavier film. This is one of the best choices and very popular. 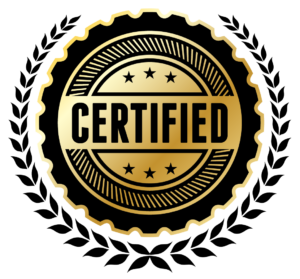 Our window tint Plano TX technicians are certified. This means they have been properly trained to apply window tint materials. Quality, long lasting car window tint starts with the install. Using the best materials is not enough for superior quality. The application should be just as good. Synergy Tint & Graphics is proud to offer only certified, professional window tint installers. Experienced, quality work will last much longer. We also offer commercial window tinting services. Call Synergy Tint & Graphics if you would like to schedule an appointment or know more about Window Tint Plano TX. I had a clear bra on my car on the bumper hood and mirrors which turned out well. Joe the owner is honest reasonable and goes behind his means in satisfying the customer with excellent service. I would highly recommend their service in the future for tinting and clear bra issues. They also provide excellent car transportation if needed.